A poem appeared in the newspapers of the Paris as a result of the great collapse of Mississippi shares. 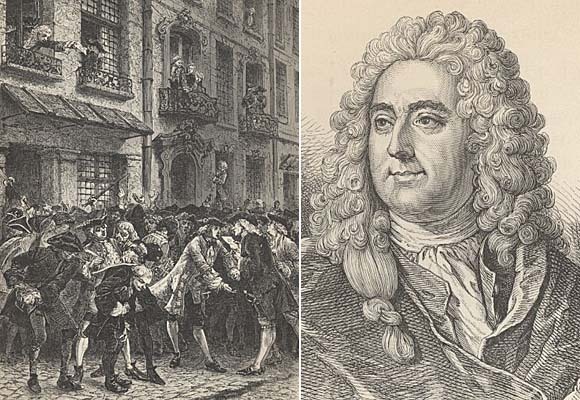 “Thus ends the system of paper money, which has enriched a thousand beggars and impoverished a hundred thousand honest men”, the words said by Marais a French nobleman clearly states, how the bubble affected the people of France, rich people especially. The great Mississippi bubble was a great example of how share prices of the company are inflated due to various reasons, maybe because of technical reasons or may be due to the mentality of the people to book profits from the rising share prices. The person behind this all mess, is none other than the famous John Law. In the pages of history, this man has been called everything. Economist, banker, gambler, swindler, robber and exile. However, he was more famous for his unique economic theories. The question still remains who was he exactly. A person who ruined financial life of many rich individuals. Was he a villain or a hero? Well, I am not researcher to judge him, whether he was good or not, or whether what he did was right or wrong. I will try to present the situation, but, I will leave the decision to judge him in your hands. In the next part we will start with the basic introduction of the bubble.